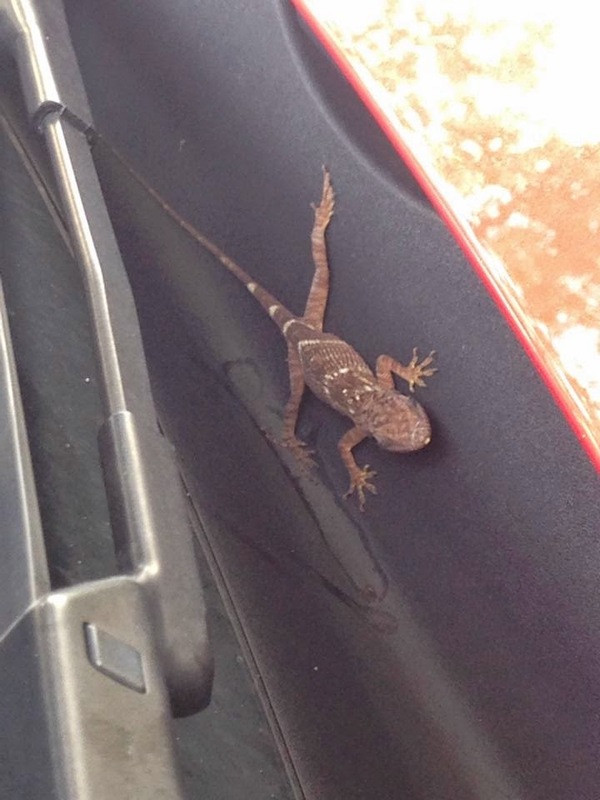 Okay so, I left my house this morning with a lizard stuck to my car. No biggie, he'll fly off as soon as I get going and go do his little lizard stuff. He makes it all the way to my job. I'm at work, and I have to leave for class. I get in the car, not bothering to look for him, and drive away. Get back to my car after class in the parking garage, and he's STILL SITTING ON THE HOOD OF MY CAR. I hop in the car to drive back to work and he just dips right back under the hood to hide from the wind! I finally got back to work and he was still there! 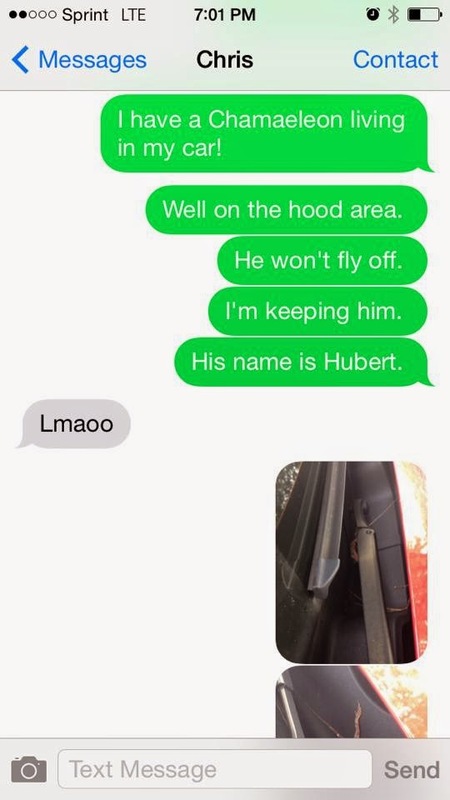 I snapped a picture of him, and then named him Hubert and told Chris I was keeping him forever. When I left work to come home I couldn't find him, but I never got a chance to really look because it was raining! I love this! Truthfully, though, I'd probably freak out - I find myself getting more intolerant of crawly things the older I get - which is kind of outrageous as I live in the tropics. :/ It's weird. Honestly, there was a spider in my car the other day when I got in it with Chris. And HE started freaking out, while I just sat there, grabbed a towel, and squoooshed it. I'm tolerant of lizards (except for when they scare me in the shower), but I'm not tolerant of bugs. I squish them and kill them.